Driver was so friendly. He provided us umbrella,cold wet tissue and cold water. He only can speak little English but not a big deal. He drove safe for whole journey. For me, Khao Yai is abit too boring and the day we visited was so hot! But no harm to visit. At least we have been there once! 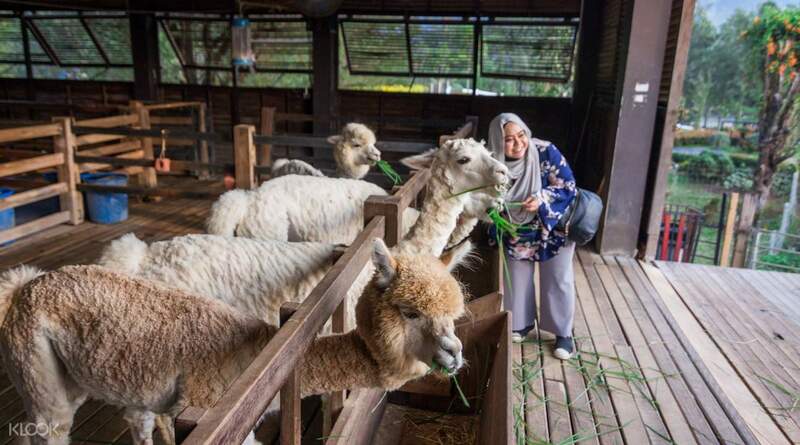 Blessed with lush mountains, gorgeous waterfalls, and breathtaking views, Khao Yai has become a must-visit for both locals and tourists alike. Discover the beauty of this magical place, without having to worry about transportation and creating your own itinerary, with this private tour from Bangkok! 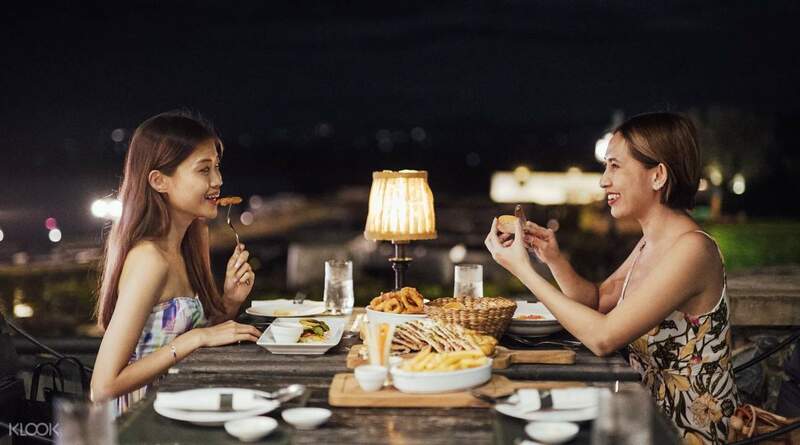 The tour comes with a convenient car charter service that picks you up either in your hotel in Bangkok or at the airport, then brings you back to the city after exploring Khao Yai. Customize your journey by choosing among one day, two day, and three-day tours, each showcasing different attractions and landmarks in the area. 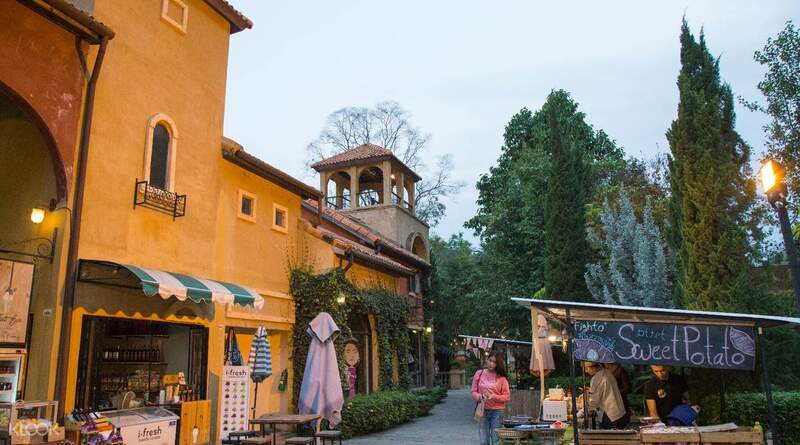 The one-day tour brings you to Primo Piazza, offering scenic landscapes surrounded by Italian architecture, before enjoying a delicious lunch at PB Valley Khao Yai Winery (own expense) and visiting Palio Khao Yai, a Tuscan village. 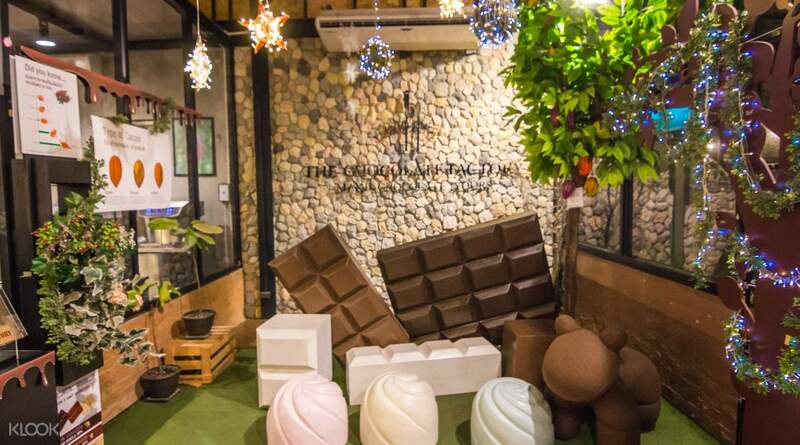 On the two-day tour, you'll also get to visit The Chocolate Factory and go for dinner at Midwinter Green (at your own expense) on the first day, then see other tourist destinations like Hobbit House (Baan Suan Noi,) Flora Park at Wang Nam Khiao, and The Verona at Tub Lan during the second day. For the three-day tour, you'll stop by all the locations included in the one/two-day tours, but day two will focus on the witnessing the beauty of nature, with stops at Haew Narok Waterfall, Pa Deo Die Cliff, Khao Yai National Park, and more! If you need someone to show you around, or simply just want to learn more facts and trivia about Khao Yai, you can also opt to add an English-speaking guide to your tour. Whether you're a nature lover, adventure seeker, or just a regular traveler looking for excitement, this tour is a definite must-do during your visit to Thailand! Driver was so friendly. He provided us umbrella,cold wet tissue and cold water. He only can speak little English but not a big deal. He drove safe for whole journey. For me, Khao Yai is abit too boring and the day we visited was so hot! But no harm to visit. At least we have been there once! Driver was so friendly. He provided us umbrella,cold wet tissue and cold water. He only can speak little English but not a big deal. He drove safe for whole journey. For me, Khao Yai is abit too boring and the day we visited was so hot! But no harm to visit. At least we have been there once! Overall the trip was great with all the destinations and the dinner at Midwinter green was spectacular. Took so many pictures and the driver is very on time on picking us up on both days. One downside was that it was really difficult communicating with the driver as he spoke little English(which isn't his fault anyways). If you don't mind communicating in short words and hand gestures here and there then a driver is fine, no need for an English speaking tour guide. Also for the 2 day trip, on the second day, the journey from the lunch place to the Flora Park itself already takes 1 and a half hours. The allocated time frame in this itinerary now is 1 and a half hours between lunch and flora Park. No time allocated for eating at all. We ate for an hour and by the time we reached the flora Park it was already 3pm++(as the journey is 1 and a half hour) . Perhaps Klook can tweak the itinerary a little. Overall my family is satisfied with the destinations. Overall the trip was great with all the destinations and the dinner at Midwinter green was spectacular. Took so many pictures and the driver is very on time on picking us up on both days. One downside was that it was really difficult communicating with the driver as he spoke little English(which isn't his fault anyways). If you don't mind communicating in short words and hand gestures here and there then a driver is fine, no need for an English speaking tour guide. Also for the 2 day trip, on the second day, the journey from the lunch place to the Flora Park itself already takes 1 and a half hours. The allocated time frame in this itinerary now is 1 and a half hours between lunch and flora Park. No time allocated for eating at all. We ate for an hour and by the time we reached the flora Park it was already 3pm++(as the journey is 1 and a half hour) . Perhaps Klook can tweak the itinerary a little. Overall my family is satisfied with the destinations. It was really convenient hiring a driver to drive us to the different attractions. The drivers were really friendly and helpful too. I enjoyed visiting Primo Piazza and Palio as they were European themed! It was really convenient hiring a driver to drive us to the different attractions. The drivers were really friendly and helpful too. I enjoyed visiting Primo Piazza and Palio as they were European themed! Driver is very punctual throughout the 2 days tour despite he is not good in English. However I did enjoy talking with him as much as he interested to. He introduced me to use the google translate app to communicate with him hahahah. He will get ready and wait for us at every drop off point. The ride is smooth and vehicle was well maintained. The pre- arranged itinerary try to cover many places and is doable if you allocate sufficient time spent at each place. 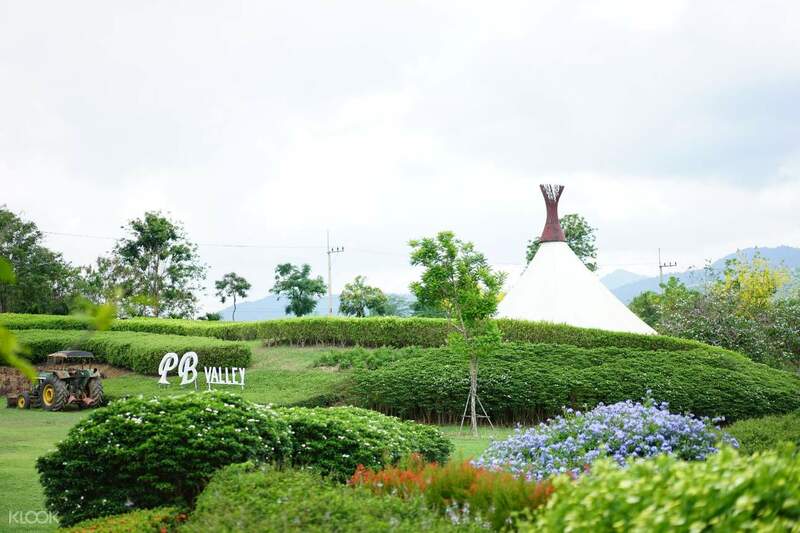 Advise itinerary to be at least 3 days if it is your first time going to Khao yai, if not it will be quite rushing. Since we took the tour in end January, majority of the sunflowers in the farms have wiltered but still not too bad view. Enjoyed my tour with Klook and thanks for the memorable experience for my first visit to Khao Yai. Driver is very punctual throughout the 2 days tour despite he is not good in English. However I did enjoy talking with him as much as he interested to. He introduced me to use the google translate app to communicate with him hahahah. He will get ready and wait for us at every drop off point. The ride is smooth and vehicle was well maintained. 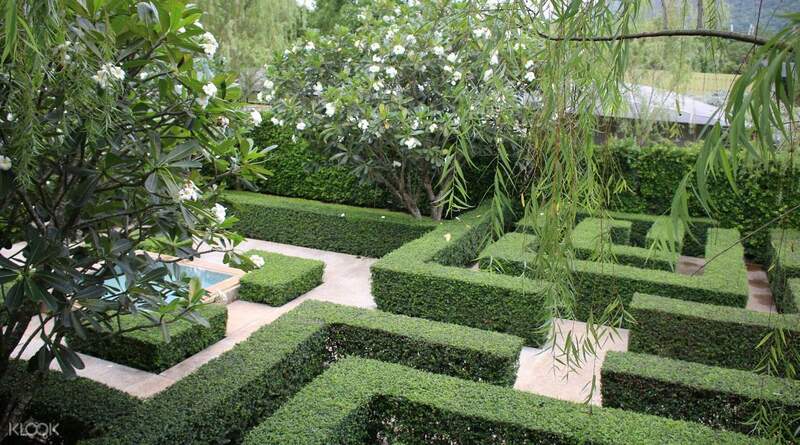 The pre- arranged itinerary try to cover many places and is doable if you allocate sufficient time spent at each place. 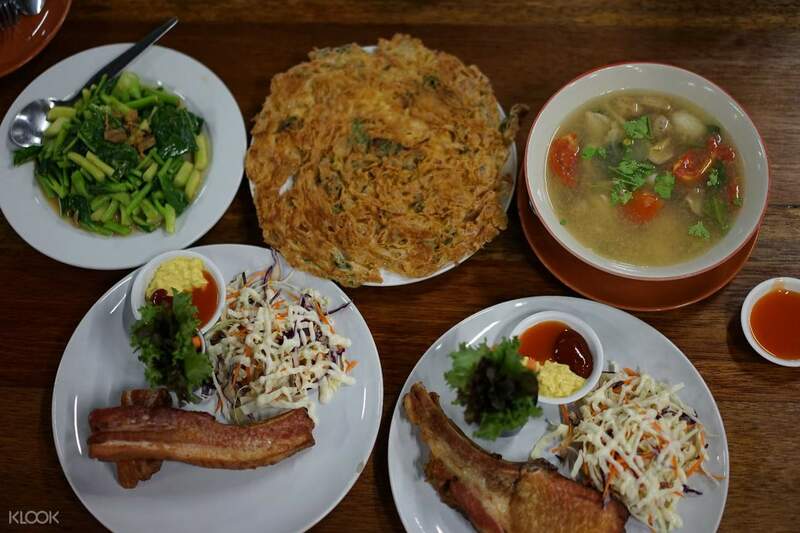 Advise itinerary to be at least 3 days if it is your first time going to Khao yai, if not it will be quite rushing. Since we took the tour in end January, majority of the sunflowers in the farms have wiltered but still not too bad view. Enjoyed my tour with Klook and thanks for the memorable experience for my first visit to Khao Yai. Driver is very punctual throughout the 3 days tour despite he don't really communicate with us due to language barrier. He will get ready and wait for us at every drop off point. The ride is smooth and vehicle was well maintained. The pre- arranged itinerary try to cover many places and is doable if you allocate sufficient time spent at each place. Since we took the tour in end January, 50% of the sunflowers in the farm have wiltered but still not too bad view. Enjoyed my tour with Klook and thanks for the memorable experience for my 1st visit to Khao Yai. Driver is very punctual throughout the 3 days tour despite he don't really communicate with us due to language barrier. He will get ready and wait for us at every drop off point. The ride is smooth and vehicle was well maintained. The pre- arranged itinerary try to cover many places and is doable if you allocate sufficient time spent at each place. Since we took the tour in end January, 50% of the sunflowers in the farm have wiltered but still not too bad view. Enjoyed my tour with Klook and thanks for the memorable experience for my 1st visit to Khao Yai. As we travelled with 4 elders, our driver Eddie helped us to adjust the itinerary to go elsewhere instead of Waterfall and Cliff. We enjoyed our 3 days Khao Yai trip very much. We are happy with our selection of Klook - comes with flexible itinerary, a steady & professional driver. As we travelled with 4 elders, our driver Eddie helped us to adjust the itinerary to go elsewhere instead of Waterfall and Cliff. We enjoyed our 3 days Khao Yai trip very much. We are happy with our selection of Klook - comes with flexible itinerary, a steady & professional driver. Booked a 1day private tour to Khai Yai. The driver assigned is on time and friendly. Managed to squeeze in 1 more venue to visit. Strongly advise to do some homework and research to plan your trip well. Highly recommend to book via Klook and definately be booking through them again! Booked a 1day private tour to Khai Yai. The driver assigned is on time and friendly. Managed to squeeze in 1 more venue to visit. Strongly advise to do some homework and research to plan your trip well. Highly recommend to book via Klook and definately be booking through them again! We have a comfortable ride. Driver Narumon is very flexible & friendly. Tks to her we manage to get into Toscana while others can only take photo from outside. Will recommend the tour. However the distance between attractions is pretty far so try not to rush too much itinerary in a day that will drain your energy. P.S. skip Palio is a total waste of time!! We have a comfortable ride. Driver Narumon is very flexible & friendly. Tks to her we manage to get into Toscana while others can only take photo from outside. Will recommend the tour. However the distance between attractions is pretty far so try not to rush too much itinerary in a day that will drain your energy. P.S. skip Palio is a total waste of time!! the timings of the visit are 1030, 1200 and 1500. 320B per adult. You get a tour with ferry and a english speaking guide. free, 1. 3 glass of 3 types wine - each glass less the 1/4 full...lol. 2. non alcoholic is 3/4 full glass per person. ps. you can choose 1 or 2. i chose the 12pm, the tour is good. both my wife and i enjoy it. after that, we have lunch at the restaurant there. Recommend this. the timings of the visit are 1030, 1200 and 1500. 320B per adult. You get a tour with ferry and a english speaking guide. free, 1. 3 glass of 3 types wine - each glass less the 1/4 full...lol. 2. non alcoholic is 3/4 full glass per person. ps. you can choose 1 or 2. i chose the 12pm, the tour is good. both my wife and i enjoy it. after that, we have lunch at the restaurant there. Recommend this.